Kelly Alpert. A Native Brazilian has lived in Santa Cruz County for over 23 years. Kelly has been licensed Realtor over fifteen years. Kelly’s energy and great enthusiasm works very well with both: buyers and sellers. Her multicultural experiences and languages skills enable her to communicate well in Portuguese, English, and Spanish. As a devoted real estate professional, she will make every effort to ensure your experience is as smooth and enjoyable as possible. So, whether you are seriously interested in getting into the real estate market for the first time, or trade your house or are looking for relocation/investment, Kelly can help you find the answers to your questions about homeownership, investment property, relocation or selling your home. Kelly does not hesitate to go “an extra mile” to assist you in finding that perfect home and strongly negotiate you a great deal. Whether you want a big backyard or a 3-car garage, she will find you that special property. Her experience will ensure that you are satisfied. “From a front Ocean property to a modest home, no job is a small job to serve you”! 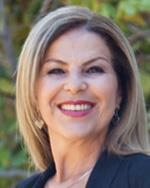 Kelly worked and sold in several areas such as Alameda County, Santa Clara County, Monterey and Santa Cruz County.